Manufactured from non-magnetic 18-8 series stainless steel as specified by ASME B18.8.2, the stainless steel threaded rod provides enhanced strength and resistance to rust and corrosion needed for the most demanding environments. 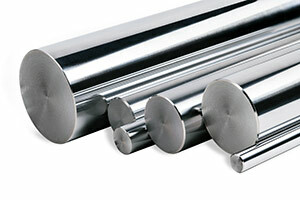 Stainless steel is commonly composed of carbon and chromium, but this alloy can be varied in composition to produce a number of desired properties. 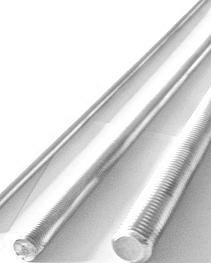 Threaded rods are metal fasteners with threads cutting along the length of the rod from both ends. Depending on the project at hand, the length and material of the rod will differ. Our threaded rods have a standard Class 2A fit. We supply rods with all major thread forms, including Acme, Metric, Unified, Worms, and knurls. We utilize proven manufacturing techniques to employ precise thread cutting; our threaded rods are manufactured to meet the highest industrial and mechanical standards. Our capabilities have enabled us to become a leading manufacturer of industrial supplies. Part alignment in different types of machines. Browse the Suburban Industries Catalog to choose a steel threaded rod that ideally fits your application needs. If you’re not sure which product is right for you, contact us and let our experts make a recommendation.